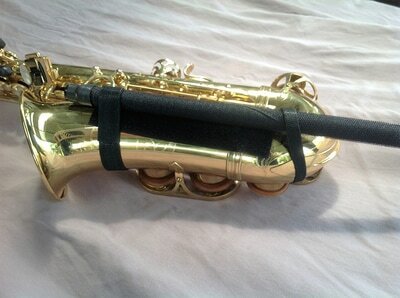 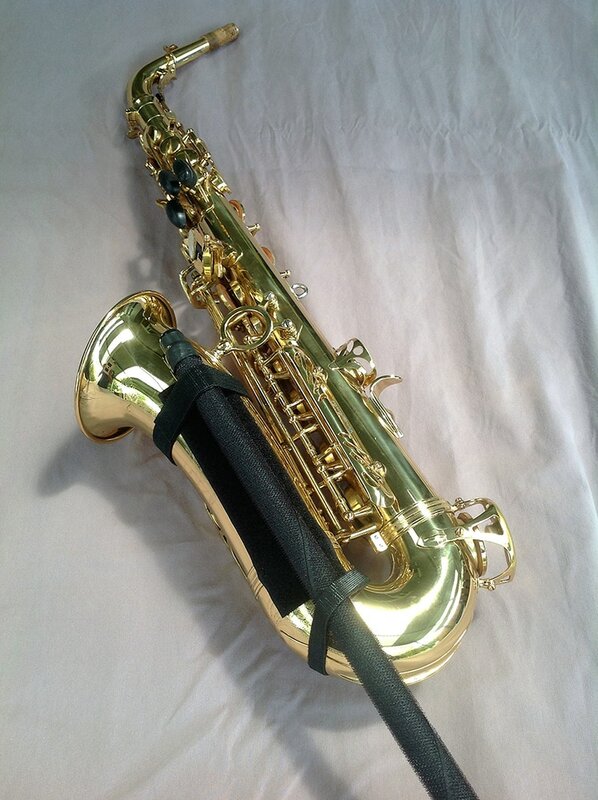 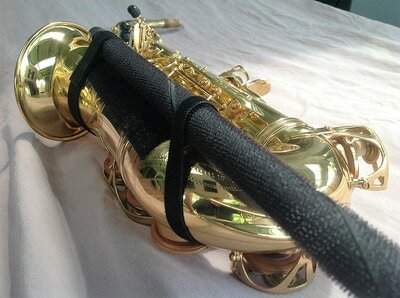 SaxSupport Sax Stand Assmbly for an Alto Sax. 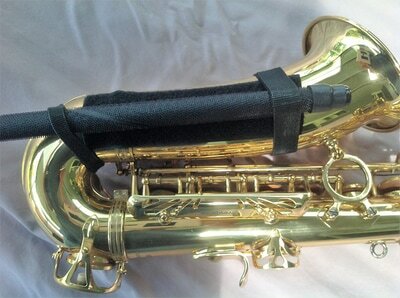 Attach 50mm strip to side of Alto as shown. The top strap is 20mm and the bottom strap in 10mm. 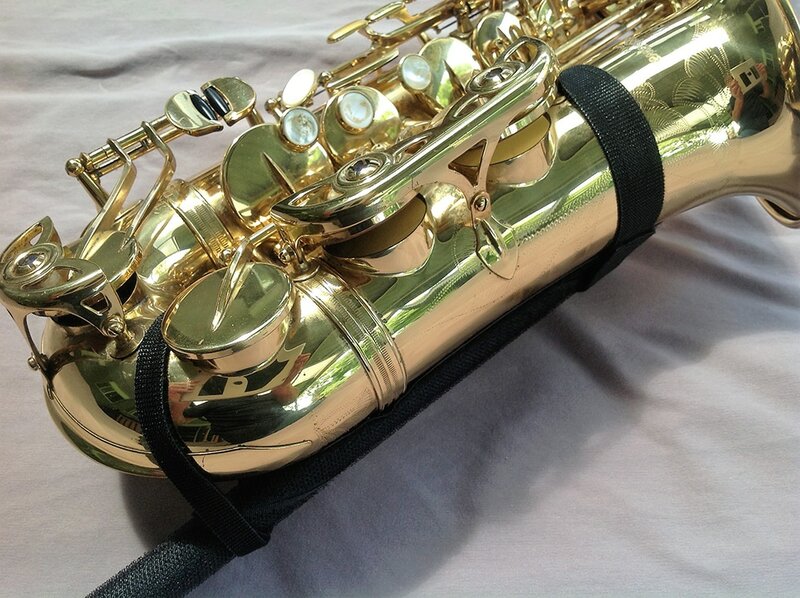 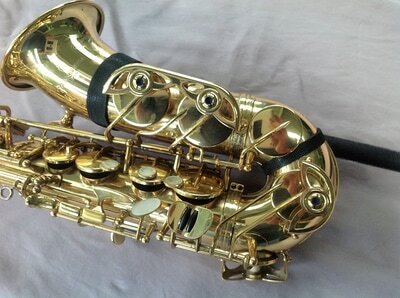 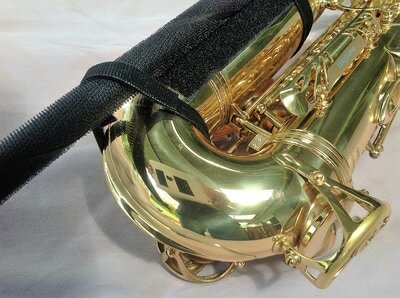 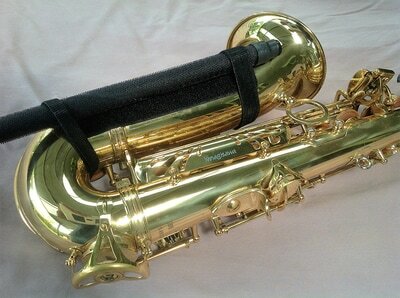 All straps attachment the same as the Tenor or Baritone Sax.